By now, drivers know that the 2016 Honda CR-V offers the full spectrum of features, from advanced technology and high-powered performance to an aerodynamic exterior design and a beautifully decorated, comfortably outfitted, and impressively roomy interior. But with the CR-V, Honda has also followed through where it most counts: safety. 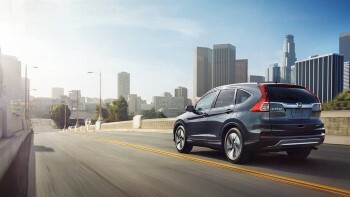 Equipped with an assemblage of devices, programs, and assist systems to ensure that you and your passengers are protected in all driving conditions and environments—on the highway, in the city, and out in the country—the 2016 Honda CR-V fully deserves the recognition it has received as offering one the safest rides around. 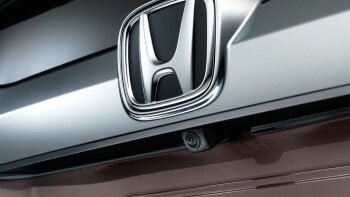 Its Multi-Angle Rearview Camera gives you an image of the rear of your vehicle, simplifying parallel parking and city driving. Its Vehicle Stability Assist with Traction Control system ensures that you’re as safe as possible at high speeds by stabilizing your CR-V when necessary. Its Tire Pressure Monitoring System gives you updates on tire pressure from within the cabin. In those rare cases where a collision is imminent, Forward Collision Warning and Collision Mitigation Braking let your CR-V respond to the threat by alerting you to it and even braking if you don’t take proper action. Its sophisticated assemblage of airbags encases you and your passengers in a bubble of protection, while utilizing partial-deployment technology to ensure that the bags fill with the proper amount of pressure depending on the severity of a collision. We urge you to talk to our friendly staff at David Hobbs Honda for more details on the safety features of the new 2016 Honda CR-V. Simply stop our location at 6100 North Green Bay Avenue in Glendale, or give us call at 888-216-8497. Put safety first with the CR-V.